We serve 1,300 noontime meals every weekday to homebound older adults and persons with disabilities in Wake County. Our outreach consists of hot meals to homebound individuals, communal dining for adults 60+ in congregate dining rooms, and frozen meal service for dialysis patients and other homebound individuals in isolated areas. Over 2,200 volunteers help us deliver meals Monday through Friday each week. Meals on Wheels of Wake County was founded on February 12, 1974 with ten volunteers meeting at Hillyer Christian Church to deliver meals in downtown Raleigh. Since then over 9 million meals have been served in Wake County alone. Meals on Wheels of Wake County is associated with the Meals on Wheels America, which is comprised of over 5,000 Senior Nutrition Programs and 800,000 volunteers in the U.S. dedicated to ending senior hunger. Meals on Wheels allows older adults in Wake County to maintain their dignity and independence and remain in their homes. 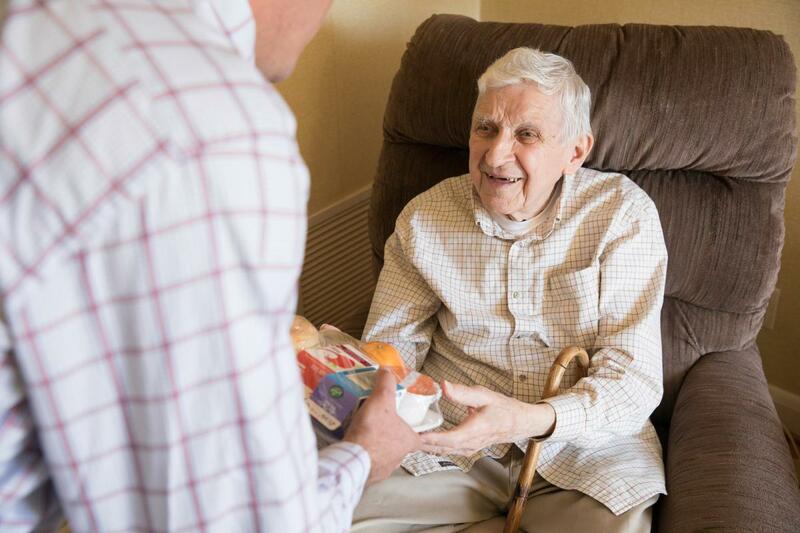 When a volunteer delivers a meal to a homebound recipient, we are not only providing a meal, but we are also providing a visit and a check up. It is comforting to family members to know that someone is stopping in daily to be sure that everything is okay. Over the years, we have touched so many lives in Wake County and beyond by reaching out to our seniors and people with disabilities to keep them connected to our community. Meals on Wheels of Wake County services are open to homebound, disabled adults 60 years old and over who live in the county. People under the age of 60 may qualify to participate receive home-delivered or frozen meal programs. Delivering nutritious meals to frail, homebound older adults and persons with disabilities of Wake County in order to improve health, reduce isolation and prevent inappropriate institutionalization and serving nutritious meals as well as providing social and educational opportunities to persons 60 years old and over in congregate dining rooms to promote independent living.